We haven’t been slacking for the past month. Oh no, far from that! Besides ordering a heat treatment oven, which should arrive in few weeks, we also made 3 new knives out of which 2 are already engraved and 1 sold. Plus little doodling with engraving. Anyways, here are the 3 knives. 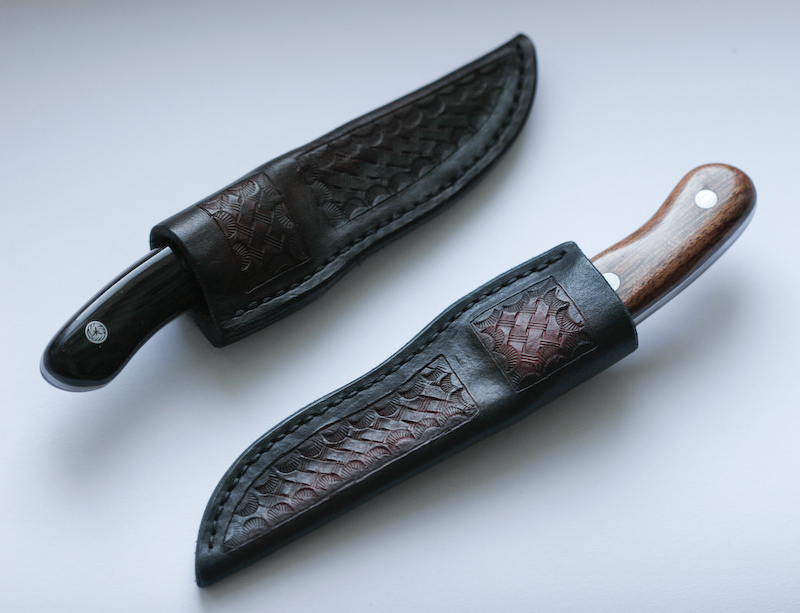 Handles on that knife were made of cocobolo. I really-really like its pattern. Now one of my favourite woods. Here are 2 others. 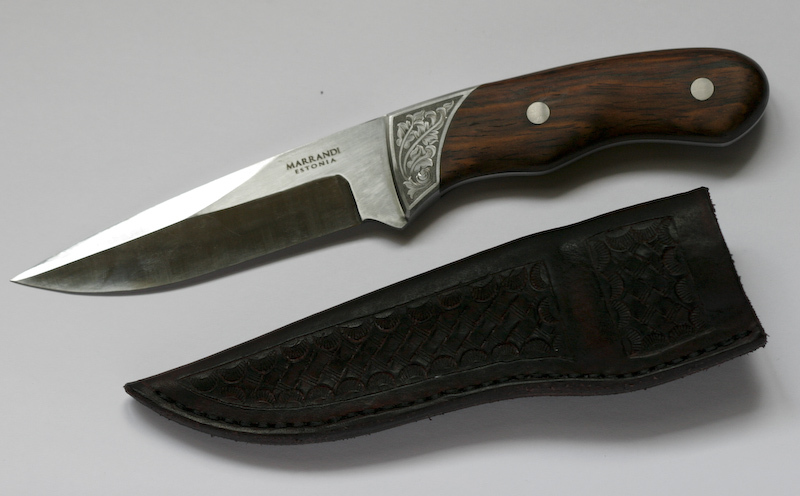 The dark wood you see on one knife is wenge and the reddish one is mahogany. Ben, unfortunately this knife isn’t avalable anymore. But I sent you email :).